Large, modern medical office for sale in Schuylkill Medical Plaza right off Route 61. 2485 square feet in a medical office condominium set-up with quick access to Pottsville's two hospitals. 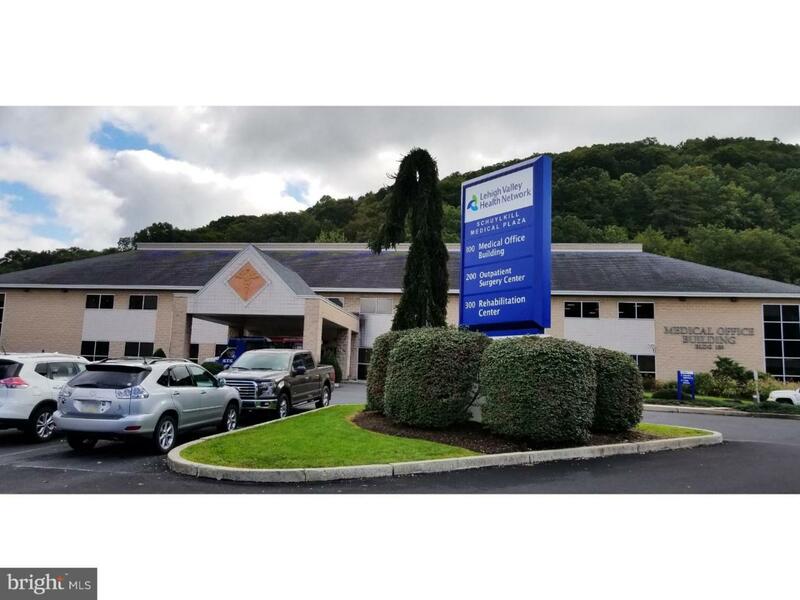 Right off busy Route 61 in Downtown Pottsville, set up your practice here and be a part of a thriving group of multiple services offered to the community, directly across the street from Lehigh Health Hospital. Unit includes a waiting room that accommodate 28 seats and a private business/receptionist area. Five exam or proedure rooms and private nurse's office. Large physician's office and two other offices, plus break room, work station area and storage rooms. Multiple uses. Large parking lot and excellent visibility. PPL gas and electric, public water and sewer.